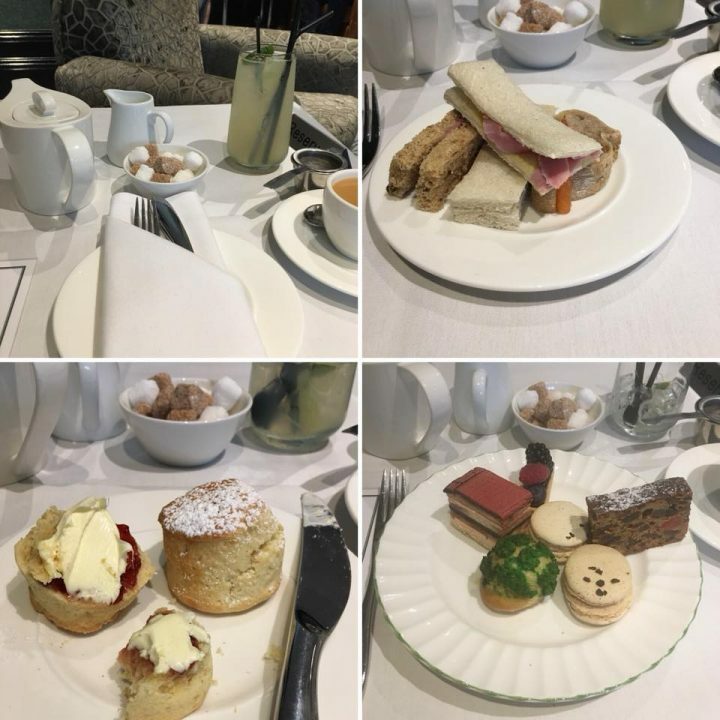 Last week I met with a friend at The Belfry Hotel and Golf Resort just north of Birmingham for afternoon tea and cocktails. The Belfry is surrounded by over 500 acres of countryside and perfectly located to explore the West Midlands and further afield. The hotel and golf resort offers luxury guest bedrooms and suites, meeting and event rooms. There is also a spa and health club plus the world famous championship golf courses. 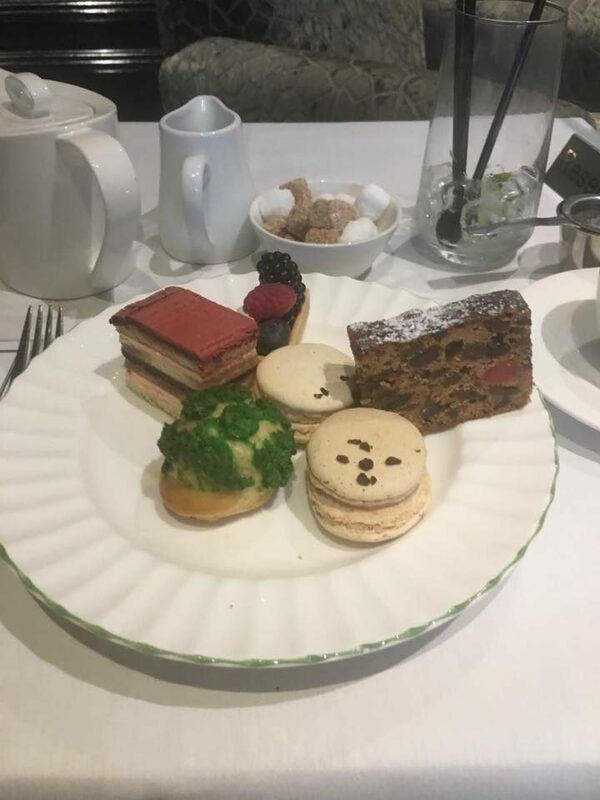 As well as a choice of 11 teas or coffees there is also an extensive cocktail menu and choice of champagne to accompany your afternoon tea. The sandwiches were lovely and they had taken in to account some dietary requirements. We were offered more sandwiches and I’m quite sure they would have brought a third portion if we had wanted them. The scones were not brought out with the rest of the afternoon tea instead they were brought to us still warm after the sandwiches. I can honestly say these were the most tastiest scones I have ever tasted. 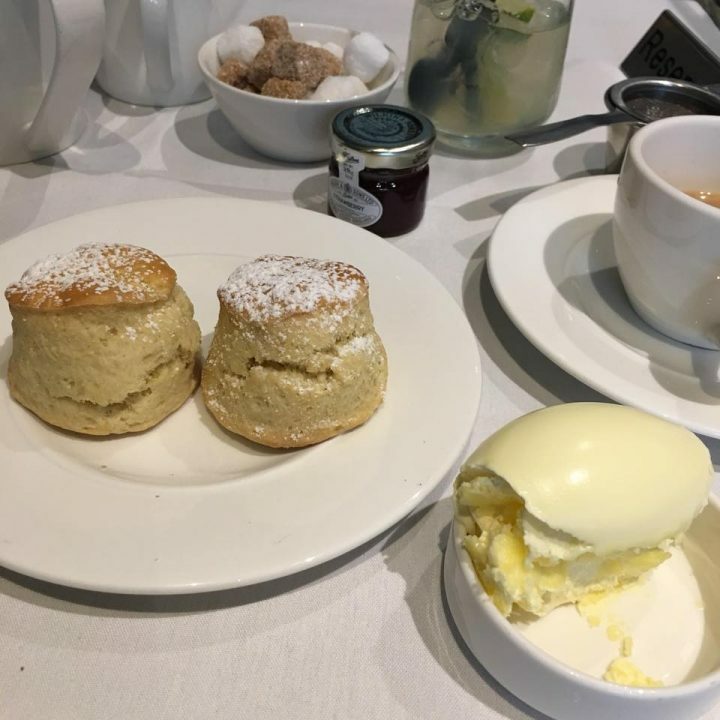 the plain scone was particularly excellent; they just melted in the mouth. 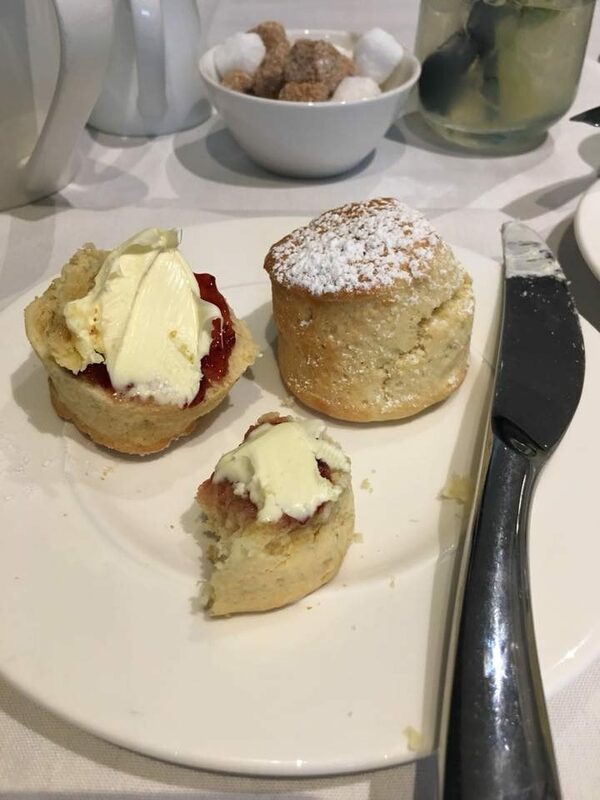 The scones were served with strawberry preserve and an ample portion of clotted cream. The sweet plate consisted of 5 different sweets which were all lovely. I particularly enjoyed the choux bun with craquelin topping. However, I did find the fruit cake rather filling and would have preferred something a little lighter. The afternoon tea is priced at £24.95 Monday to Thursday and £28.50 Friday to Sunday. 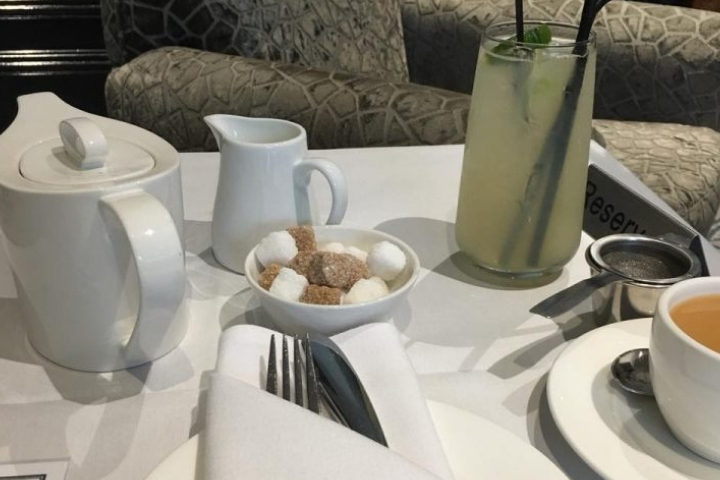 Afternoon Tea is served daily from 12pm to 4pm. 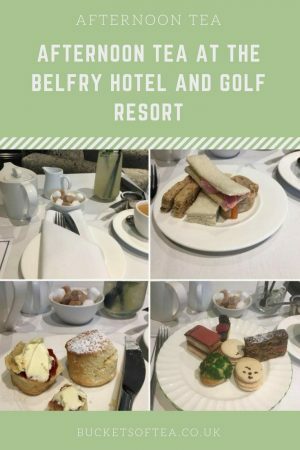 Bookings for afternoon tea at The Belfry must be made at least 24 hours in advance. If you book via open table you will earn 100 points which when reached 2,000 points can be converted to a £10 food voucher. Open table allows you to earn points from booking at a large number of restaurants throughout the UK. Oh those scones have made me salivate! I ate way too many sweets yesterday, so I’ll have to look but not touch them today! I absolutely adore afternoon tea. The last time I had it though was 5 months ago when I was pregnant and my Mum was treating me to a spa weekend. Good thing virtual calories don’t affect my diet. Great photos! That looks amazing! 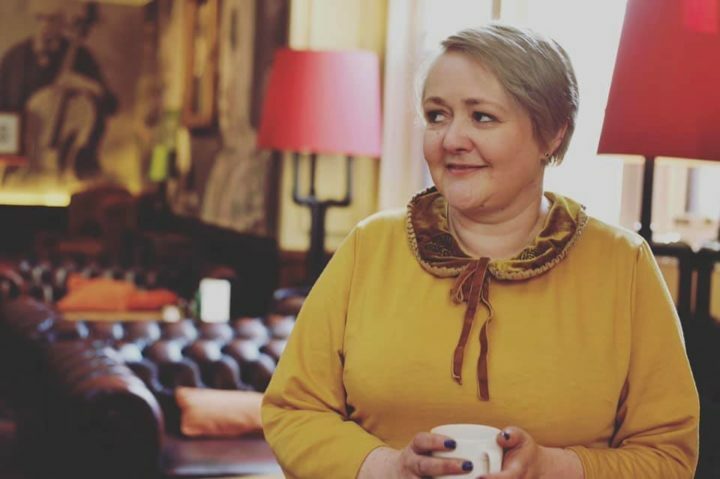 I’ve never actually been for an afternoon tea before – after seeing this, it’s something that I definitely need to sort – SOON! Belfry Hotel is not that far from where I live. This Afternoon Tea looks delicious. Looks so delicious! But what is that green thing with the cakes?